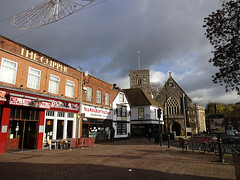 A town in Kent. It's connected to London via Dartford Station, which was added to TfL zone 8 in September 2015. Last edited 2015-11-26 09:43:25 (version 4; diff). List all versions. Page last edited 2015-11-26 09:43:25 (version 4).